This is a “one dish meal” I learnt from Amma. It is very easy to make and delicious. I love this simple Pulao which is very healthy too. If you have children, do try this.I thought I could try this spinach rice for a change. I liked it a lot and it is easy to prepare too. 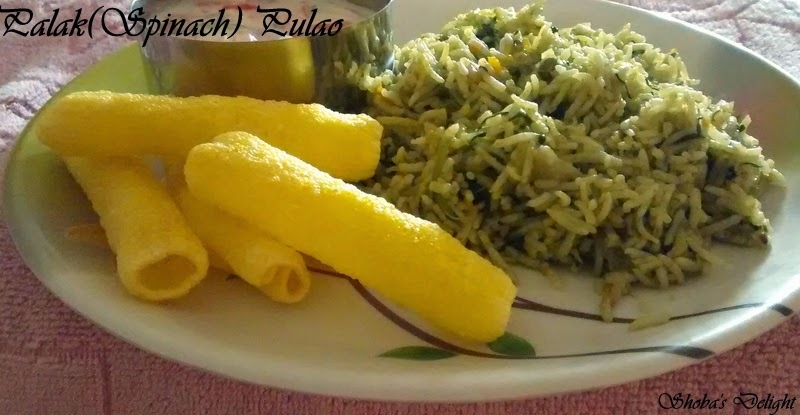 Palak Pulao (Spinach Pulao) is a healthier version. Palak Pulao is easy to made, delicious, balanced and nutritious recipes. Like all greens, Palak greens are rich in iron, vitamins. 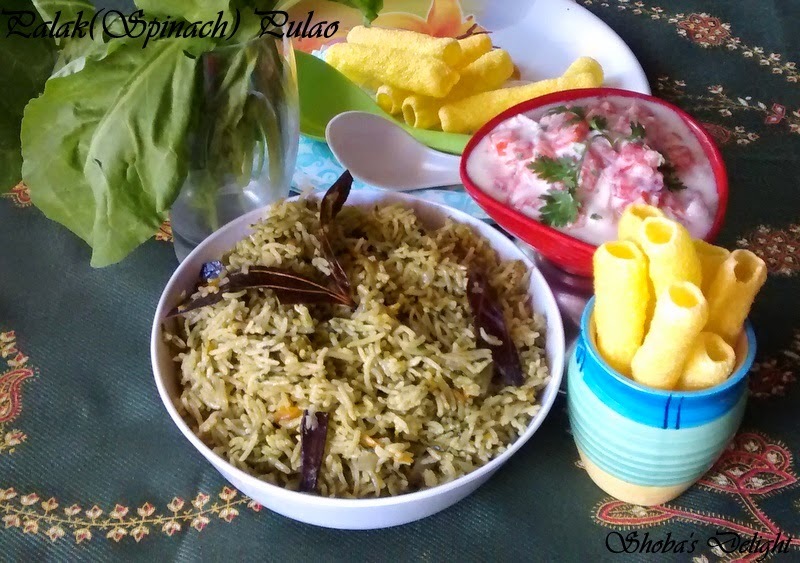 Palak pulao tastes delicious with spicy raita, with tomato and onions salads. All greens are rich in iron. So I use greens a lot in my cooking.I have this rice as a light lunch in weekdays. It tastes good with raita too. Also I wondered what raitha would accompany this pulao to its best. So thought of trying some tangy raitha as the pulao was very mild. Then I thought of using tomato and onion together in my raitha. 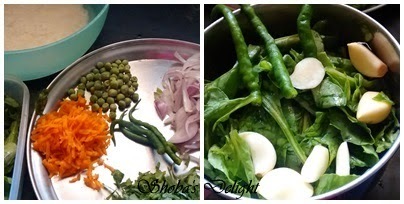 You can add more veg’s and dry fruits in palak pulao. It will add more taste and nutrition. 1. Wash and soak basmati rice for 30 minutes. 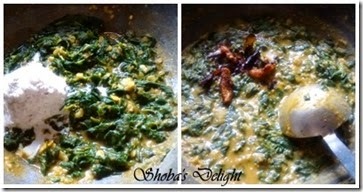 Grind palak, green Chillies, and garlic to a smooth thick paste.Keep aside. 2. Take a pressure cooker, heat up the oil in it. 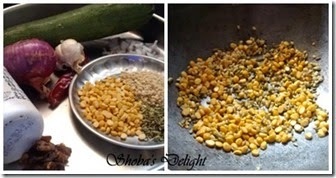 Add jeera, bay leaf, cardamon and sauté for few seconds then add the above mix and sauté it for 1-2 minutes. Add Onions and cook it until translucent. 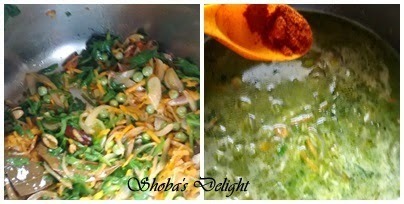 Add grated carrot, peas, spinach and sauté it for 2-3 minutes. Fry them till the spinach becomes soft and fry for 2 minutes. 3. Add the Palak paste and sauté till the water evaporates.Next add the masala paste ,turmeric powder, chili powder and salt to taste. Sauté till oil separates. 4. Add 1 1/2 (one and half) cups of water and close the lid. Increase the heat to high. After first whistle, simmer the heat (or flame) and cook for another 2 minutes. Turn-off the heat. Allow the pressure to subside naturally.Keep covered for at least 10 minutes before serving. 5. 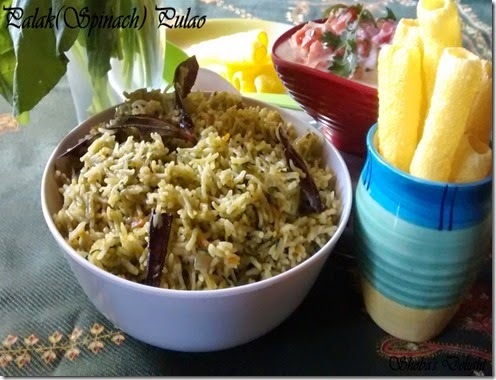 Palak pulao is ready to pack it in lunchbox or server as main course. Serve warm or hot with papad and tomato raita. Since the basmati rice is soaked for 30 minutes it needs less water. Adjust the water according to rice you use. 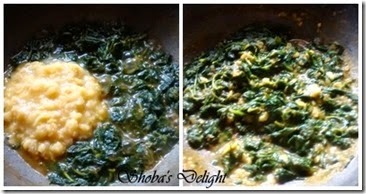 This is a good combo for palak/Spinach Rice. A tangy raita too. Let your family enjoy with this meal. Pour curd in a broad vessel and beat it.Combine all the other ingredients and give a quick stir. Serve it with palak pulao. 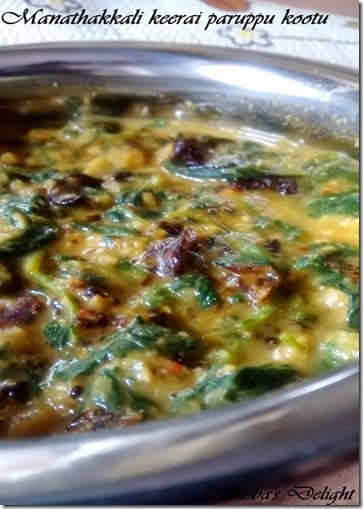 Technorati Tags: Palak recipes,Spinach recipes,Lunch box recipes.,Kids recipes.,Pulao varieties,Rice varieties,Keerai sadham varieties,Carrot recipes,Peas recipes,Curd recipes,Tomato recipes,Raitha recipes,One pot peal recipes. Idly is the traditional breakfast of south Indian people. This is the first solid food usually given to the recovering sick persons. It is easily digest able too. In my parent’s home this is the favorite breakfast. After coming to my husband’s house, I have learnt the correct method of making soft idlis. 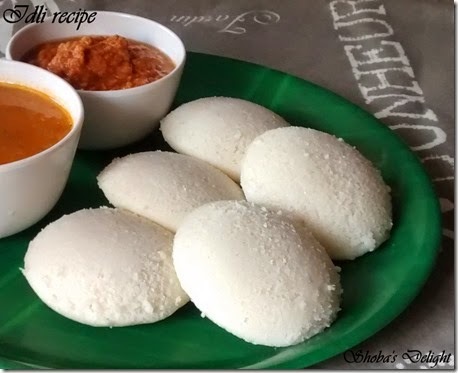 By practice I was able to make perfect soft idlis with idly rice. The batter must be mixed with the required salt in correct consistency. Usually the ratio differs when you use mixie because the jar heats up faster ,the quantity of rice is used is lesser .I prefer using wet grinder for getting nice idli’s and am using it till now. The quality of rice and dhal and soaking time is important parts of idly making. 1. Soak for four hours then grind dhal first and then the rice. Grind to a smooth paste. 2. Add salt, beat the batter with hand to required consistency. Ferment the dough for 8 hrs. minimum. 3. Stir the batter lightly and now you are ready to go for steaming. Now softest idlis are ready to be served. The batter can be put in the fridge without adding salt and we can add salt when we keep outside for fermentation. Technorati Tags: Idly recipe,south indian breakfast recipes,Indian food recipes,Easy breakfast recipes,Baby recipes,Kids delight.,Bachelor recipes. In India, tea is one of the most popular hot beverages. It is consumed daily in almost all homes, offered to guests, consumed in high amounts in domestic and official surroundings and is made with the addition of milk with or without spices. Adding masala, or cardamom or ginger is a great way to make the tea delicious. It’s actually the best medicine for cold and cough.Tea is an aromatic beverage commonly prepared by pouring hot or boiling water. 1. Place 1 cup of water in a small bowl over medium heat and bring to a rapid boil, uncovered, stirring regularly. As soon as the liquid comes to a boil, stir in the crushed ginger and cardamom pods. 2. Let the mixture return to a boil, uncovered, and boil, stirring occasionally. 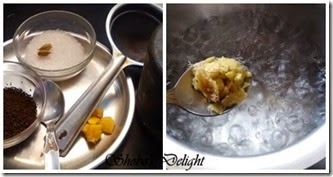 Add tea powder and If you want it stronger brew it for more time.After few minutes, pour ¾ cup of boiled milk. 3. Now you will notice the milk color changes into a light brown Let it boil for 8-10 minutes or until you reach strongest and good tea color. Turn of the flame. Filter using a tea strainer and serve hot with cookies or biscuits of your choice!!! 4. 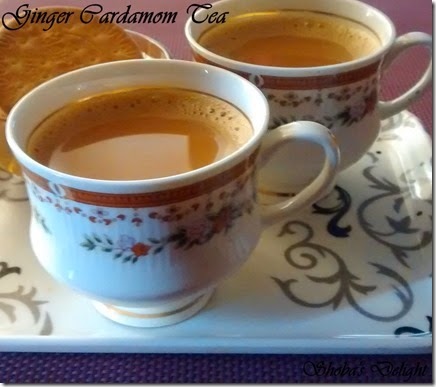 Enjoy piping hot Indian Ginger cardamom tea! Check out “Masala Tea” for a happy evening. Don’t add cardamom powder or pods too much which spoils the entire taste of the tea. Just for the flavor we use it. 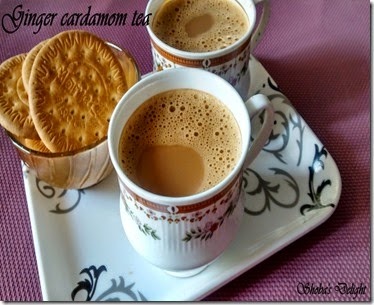 Technorati Tags: Tea recipes,Ginger recipes,Cardamom recipes,Ginger Cardamom tea recipes,Beverages. 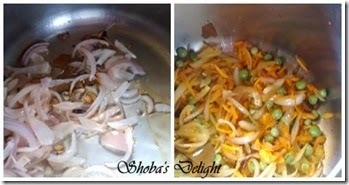 This kootu recipe is very easy to make & very healthy too. 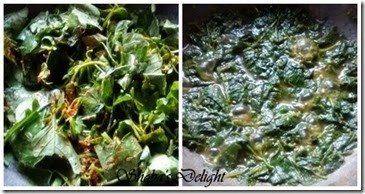 You can make this kootu with any type of greens. 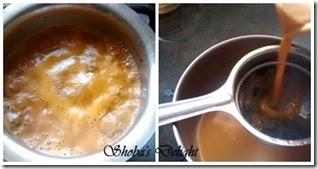 Today I have used manathakkali keerai for making this recipe. All on earth know the value of eating greens and want to consume it in some form or the other. It is rather difficult to give the greens to young children. Manathakkali keerai is good to bring down the mouth ulcer. 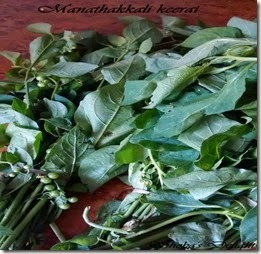 When we chew the fresh manathakkali leaves it will reduce the ulcer in mouth which is due to heat or ulcer in stomach. So think about it. Check out the other kootu varities if you are interested. 1. 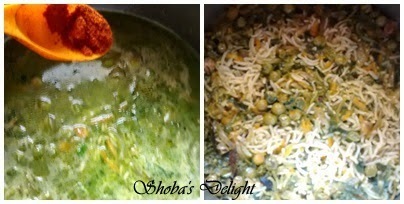 Wash the greens 4-5 times & chop them .Meanwhile pressure cook the toor dal for 3whistles. 2. Boil water with turmeric, sambar powder and salt. 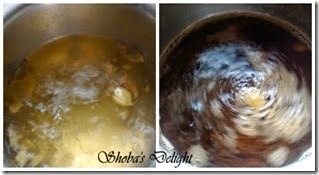 When water boils add manathakkali keerai and cook till the greens are tender/cooked. It will take only few mins to cook. 3. Grind the coconut, jeera into a fine paste adding very little water. Do not add too much water. 4. When the keerai gets cooked, add the ground paste & the cooked toor dal. Mix them well & let it boil for another 5more mins. Sprinkle some crushed pepper powder.Switch off the flame. 5. Temper the ingredients that are listed under "to temper" table. 7. Keerai kootu can be taken with rice/chapatti/roti. 1. Chop the keerai finely. The keerai will get cooked very fast if you have chopped them finely. Tempering with coconut oil is purely optional. If you feel the kootu is watery then mix 1 tsp of rice flour with little water. Add them last & cook them for 2more mins. 2. While cooking greens don't cover the vessel with lid because greens colour will become dark. Immediately transfer to serving bowl to avoid further cooking. The leaves are effective in the treatment of digestive disorders and stomach disorders like flatulence,colitis and peptic ulcers.An infusion of the plant is useful in dysentery and other stomach ailments. The fruits or the berries of the plant is beneficial in treating asthma and also yields beneficial results in fevers. It is useful in the treatment of dropsy. It increases the secretion and discharge of urine. The plant is good in healing chronic skin diseases such as acne and eczema. 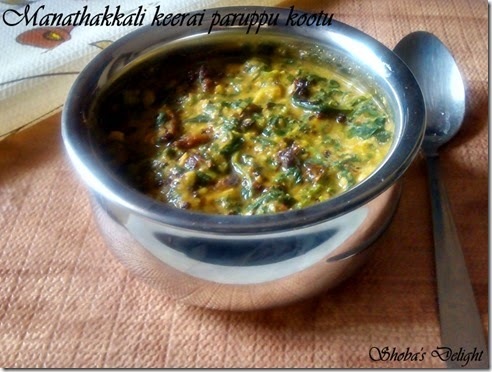 Manathakkali kootu will bring down the body heat and is healthy with low fat,high protein,iron calcium,fiber etc. Chutney recipes are very common in South Indian homes. Zucchini is a versatile veggie that can be easily used in Indian cooking. 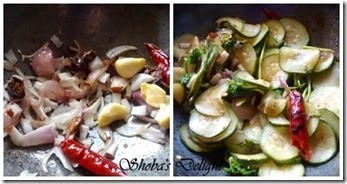 I make sambar, kootu and curry with zucchini. This time I wanted to try making chutney and the result was amazing. You can eat this chutney with dosa, adai or idli or with a bowl of hot rice and ghee.The following measurements make a rather mild chutney so increase the chillies if you want it spicier. 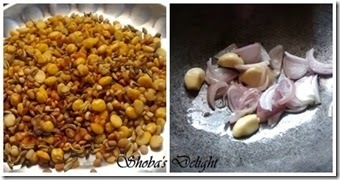 The good thing it can be easily adapted to Indian recipes with ease. Since it does not have a strong taste it adapts nicely to most recipes. 1. Chop the zucchini into medium sized cubes. No need to peel the skin. Heat 1/2 tsp oil in a pan. Add 2 tbsp. of dals and red chillies and saute on medium heat until the urad dal is golden brown.In the same pan saute the onions till they get translucent. Add in the tamarind and zucchini pieces and saute till it is cooked. Add grated coconut and stir for a few seconds. 2. Reduce the flame, add 1/4 cup water, pinch of salt, cover and cook till zucchini is tender and fully cooked. 3. 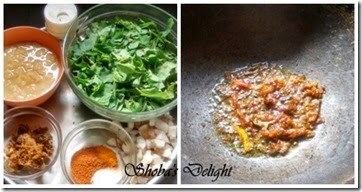 In small mixer-grind the fried dal-red chillies, soaked tamarind and coconut to coarse paste. 4. To this add the cooled cooked zucchini, salt and scrape the sides of the mixer and grind to a paste. Remove this into a bowl. 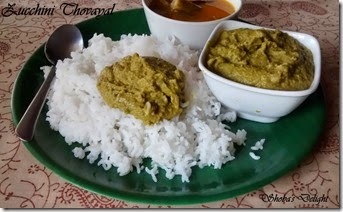 Serve with hot rice and Kootu! Traditionally a lot more coconut is used, so you could use as much as your health consciousness permits. Follow this tempering if you prefer. 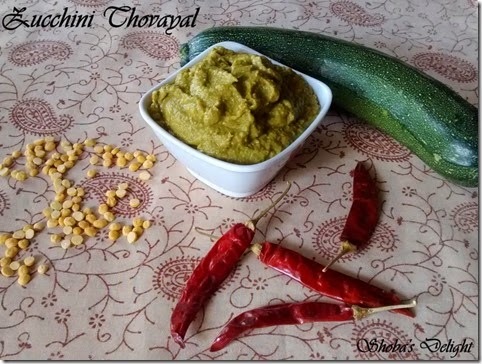 Technorati Tags: Zucchini recipes,Thogayal recipes,South indian lunch recipes,Indian food recipes,Lunch box recipes.,Rice recipes,Chutney varieties,Healthy food recipes.